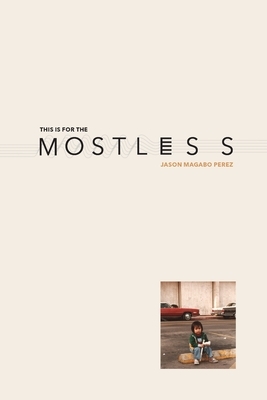 THIS IS FOR THE MOSTLESS, writer and performer Jason Magabo Perez's debut book, is a lyrical collection of autobiographical poems, essays, fictions, and oral histories. Moving against discipline and genre, from city to city, barrio to barrio, these stories and sympathies are filled with familia and trauma, and cast with wildly divergent figures as iconic as Don Cheadle and Mandy Moore, and as obscure as Cobra Commander and Perez's own mother-a Filipina migrant nurse who in 1976 was framed by the FBI for murder. Ultimately, Perez celebrates and mourns the multiple migrations and afterlives of grandmothers, gangsters, girlfriends, superheroes, and poets. This book is about and most definitely for all of the mostless.